We at MJC strive to excel both in studies and in extracurricular activities. 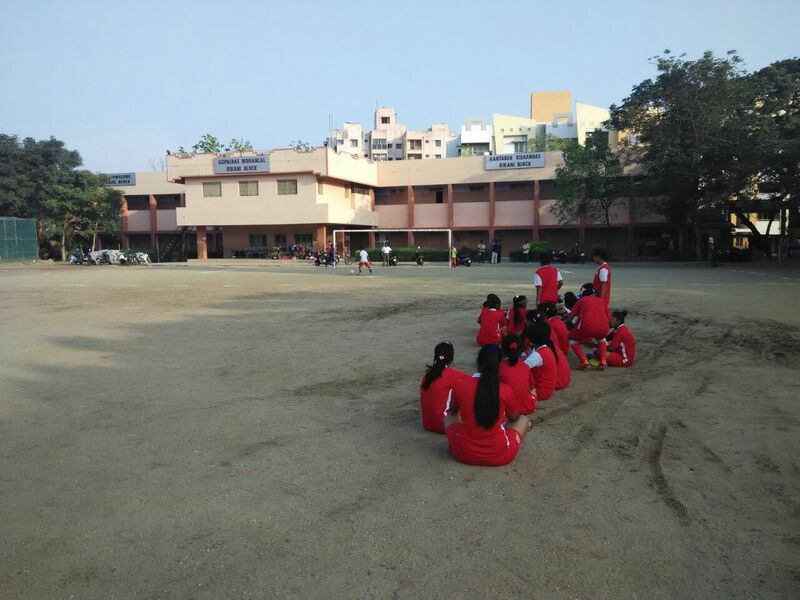 So when we got an opportunity to play a friendly match of football with the students of Shree Baladevdas Kikani Higher Secondary School we were excited. 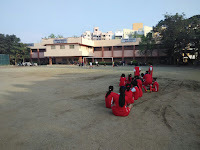 Kikani School is a very reputed school in Coimbatore encourages and supports its students in a wide variety of sports and games. 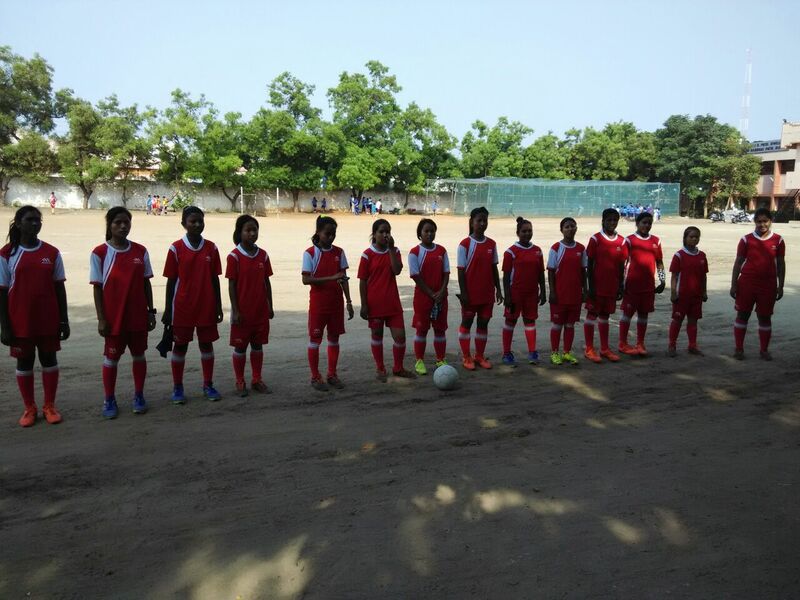 Thus it was a privilege for us to have a friendly match with them at their grounds. The match was held on 30th April 2015 at the Kikani Grounds at 4 pm. Our delegation to Kikani included the full MJC team of 26 girls from grades 8 to 12, our staff Mr. Shyam Trinath, Mrs.Poonam and a few other students from MJC to cheer our players. 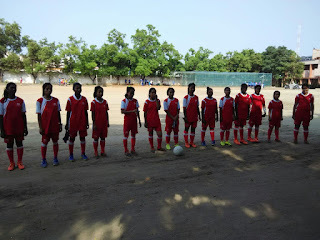 The captain of MJC team was Lalitha Lama of class 10, a forward player. The Kikani team for us was a formidable competition and they played really well. Our team on the other hand fought really hard. Neither team scored any goals during the regular time. So the game had to be decided by penalty shootouts. In this we managed to excel and our team scored eight goals. 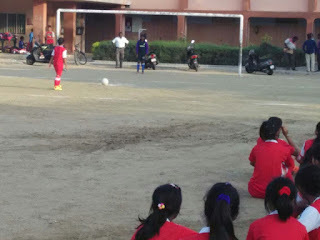 The opponent team could score only six goals as our goalkeeper did a fabulous job and we emerged victorious. 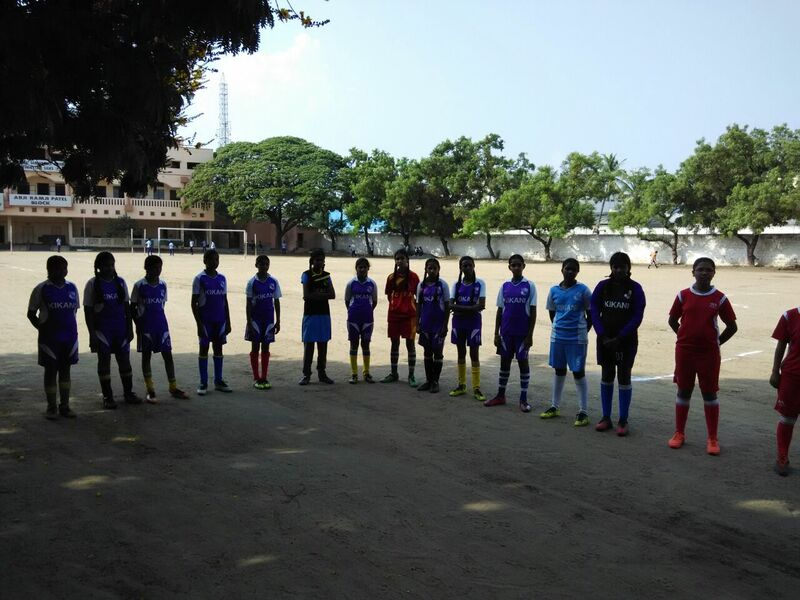 The penalty goals were made by Anne Joseph, Carola(Sanu Khatun), Celesti, Joan, Jill, Lalitha and Spring(Snuti Priya). The match ended at 5:00 p.m. We were treated with lovely refreshments on our way back. We were back at MJC at 7:30 p.m.
Over all, it was a great experience for all us. We are thankful to the Kikani School, and Rotary Club of Coimbatore for this opportunity and we pray to God that we would get more such opportunities.